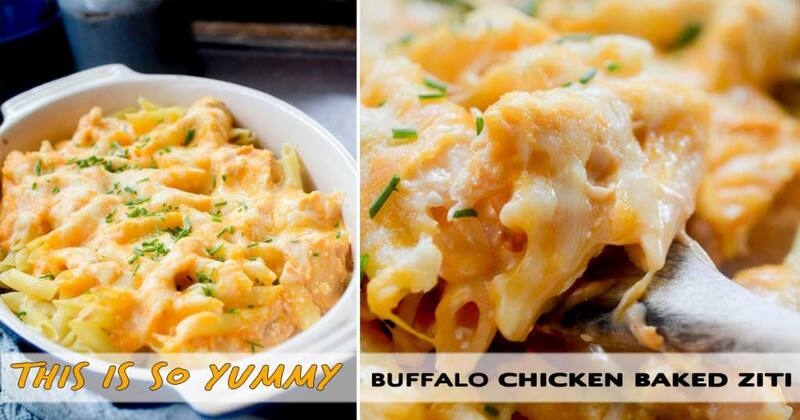 Combine Buffalo chicken, pasta and cheese in one dish to create a yummy meal called the buffalo chicken baked ziti. 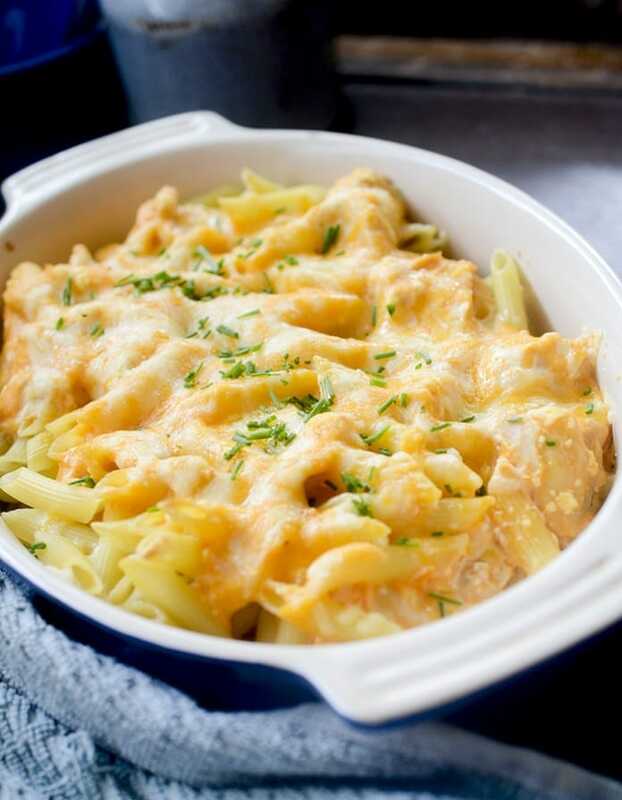 The baked ziti with chicken is easy to make within 30 minutes and is pretty delicious to taste. The recipe here is tweaked to suit calorie conscious people. 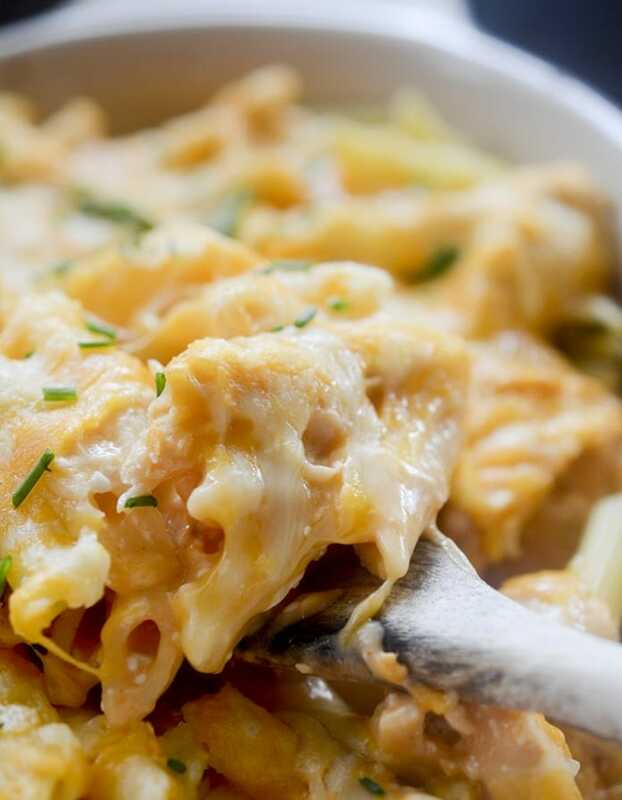 The buffalo chicken baked ziti is quite popular and you will love its healthy version. – Preheat the oven for 350 degree F.
– In a large pot boil salted water and cook the pasta until al dente. – Drain and place it in the pot. – To make Sauce: In a large skillet over medium heat, melt the light butter. Add the flour and mix nicely. Cook for a minute. Add milk and mix well so that there are no clumps remaining. – Simmer for two minutes or until thickened. – Add cream cheese and now mix with a wooden spatula until it is mixed properly. 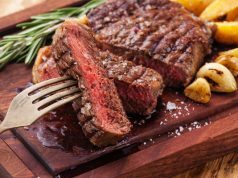 – Now add Frank’s ranch seasoning and stir until they are mixed completely. – Add chives, chicken and the cooked ziti to the skillet and stir until the pasta is coated completely. – Top this with a layer of cheddar cheese and bake until melted and golden for 15 minutes. – Garnish with chives and serve.